Just like any other industry, the real estate industry has also evolved a lot over the last decade or so. There has been a lot more use of newer and better technologies that have set up a new trend in real estate marketing. There are new blogs and listing sites that have created an incredible amount of impact on the minds of the people as well as on the market. Real estate agents are finding it easier to sell off their property fast, and at the same time, better designing of the sites provide a better opportunity to the prospective buyers to make a better comparison. 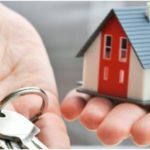 There are several newcomers to this industry who are offering more options to the consumers to choose from, whether it is buying or selling of a property. With better design and incorporating better technology in real estate marketing, real estate agents and realtors have found more comfortable and more effective means to come to terms with modern demands and needs of the consumers. The modern features included in the design have provided the listing sites a more matured look. The iterative development and the use of all brand new technologies have even changed the working process followed by the real estate agents in these modern times almost on a daily basis. Undoubtedly, with such rapid change and development in real estate marketing, there must be a lot in store this year and the years to follow. It is better to know these so that you are well prepared to face the digital future with élan. You will not only know what is in store but will also be able to know where it may possibly go from there and plan your moves accordingly. Every weekend, thousands of properties go under the hammer of the auctioneer. Given such a scenario it is really hard for the real estate agents to stand part and ahead of the crowd. Add to that buyers and sellers have become equally sophisticated knowing much about the technological development in property listings and the working process. However, the new technologies implemented promise an unprecedented and immersive buying and selling experience. Property transaction now has become, and real estate has to find the best ways not to compromise with it but keep up with the enthusiasm of the property seekers. The online technologies provide the real estate agents with a fine line to walk. This means the real estate agents now have to extend their outreach with more effectiveness and at the same time keep their investment comparatively small. Though the palpable value of print advertising has a long time to be considered obsolete, most buyers and sellers rely on and go straight to the listing sites. Obtain other value-added information such as property renovations, sales histories, and planning permits. All these features and factors of the listing sites taken together have offered the High Park Real Estate landscape that is unprecedented. It is all due to the myriad of ways the real estate agents now use to leverage these new technologies into their marketing endeavor. All significant features, information, specifics, and usefulness of the properties are precisely highlighted. These videos are typically designed with all relevant elements in it so that it complements the photographs of the properties in a more comprehensive manner. These videos offer a series of short yet effective walkthroughs that enables the buyers to have a fair idea about the feeling of being and living inside the property. With panning shots, these videos can effectively convey the sense of the space regarding its size, scenic context et al. There has also been a notable increase in the production values of these real estate videos in the recent years. In the future, the production houses plans and promises to take it even a step further by incorporating stable as well as automatic video generating. Apart from that, use of mini-sites hosting, video messaging to the realtors and other useful features are in the pipeline as well. The use of videos has proved to be extremely beneficial for the high-end property marketing by the realtors. When a potential buyer is not a local resident, these highly appealing listing sites attracts them providing more detailed information. The richness and usefulness of the videos provide a better view of the property which is far better than any casual and drive-by visit to the property for inspection. Video provides the consumers with a more realistic and engaging presentation of the property with all lifestyle and aspirational elements making it much more compelling. This helps in making a quick and more informative decision facilitating the quick sale of a property. Moreover, Google algorithms favor those sites that have video content in it. This results in more and better organic search results and a better SEO. With the ranking bettered this ideally results in more views and an enhanced chance of conversion. If you thought drones are useful only for the military and used for destructive purposes, then think again. It is used in real estate marketing as a new marketing trend. Adding videos to the site design may have the more emotional impact of the property on the minds of the viewers, but these drones add a new dimension to it. Drone photography is no more a niche novelty but has become a staple for several purposes. The real estate property photographers are not behind and make the most use of it to get better views of the target properties. This provides spectacular effects and appeals to the image that was unthinkable even a few years back. Drone level imagery brings the property alive in many ways that you cannot achieve through conventional photographs. Taken from a height, the drone gives a new sense of grandeur to property, and at the same time, it shows the type, nature, and state of the neighboring properties. Drones allow the real estate agents to validate the proximity of the property to the CBD areas, beach, transport lines, major roads, and parklands. These are often the key attributes that appeal to the buyers helping them to make a proper and quick decision. Artificial intelligence or AI is the buzzword in the field of information and technology. Though it is still in the early experimental stages in the real estate industry, the use of it is notable and is here to stay. Artificial intelligence ‘bots’ as it not only helps the technical-support inquiries of several different types of companies but can also help in handling the front-line inquiries about any marketed property. Size of the property, the proximity of it to specific locations and even the expected price can be answered with it. The computer vision technology involved in AI produce large sets of data generated from the historical records of the property. AI provides 97.2% accuracy which is much higher than the usual 85% accuracy of humans. The intelligent analysis of this feature is paired now paired with voice recognition. This has helped in improving the viewer’s experience is searching for their dream property from these sites. With the newer and better versions of smart home speakers, viewers can now interact with different information services. The immediate results that these features provide will surely make voice-driven searching more relevant and essential in the future to engage the potential buyers. Another significant transformative technology used in real estate marketing is the virtual reality. VR is the most natural to present properties. Newer VR models have enabled viewers to take a walk through different properties right from the office of the real estate agent or their homes. It is useful not only for the high-end properties but also in the mid-range marketplace. Though in VR you get to use only one of your five sense organs that is your sight, it is still helpful in making someone decide whether to go ahead with property or not. You will be able to build a complete intuition regarding the property, its feel and at the same time get the full perspective of the space as if you own and live there in person. With so much technology used in real estate marketing, all barriers regarding entry, decision making and selling of property are eliminated. 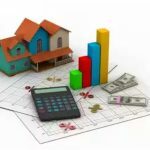 This has proved to be beneficial to the buyers, the real estate agent and also the economy on the whole as it relies heavily on real estate. This entry was posted in Real Estate Business and tagged RealEstate Marketing. Bookmark the permalink.